T rip Protector international trip insurance is our top recommended, and one of the most popular trip cancellation insurance plans we have. It provides excellent and flexible protection for you while you travel abroad! The Trip Protector is affordable insurance that works best for any type of international travel, minus sports medical coverage. Many people who secure this coverage are working abroad in business, NGO jobs, nonprofit jobs, volunteering overseas and serving as short term missionaries. This cheap health insurance for working abroad or taking vacation packs quite a substantial bundle of international travel health insurance! The GeoBlue Trip Protector trip insurance comes in three levels of coverage. Starting from the economy-type is the Trip Protector Economy; the middle option is the Trip Protector Classic; the highest coverage is the Trip Protector Preferred. The coverage amounts increase, some benefits are added, and even opportunities for extra coverage are included with the middle and high options. One of the main things for example is that on the Trip Protector Classic and Trip Protector Preferred if you secure the international travel health insurance within a certain amount of days of your initial trip deposit, you can waive the pre-existing conditions exclusion. On the Classic there is a 14 day limit, and on the Preferred there is a 21 day limit. Cancel for Any Reason: The GeoBlue Trip Protector Preferred exclusively has the option for Cancel for Any Reason that the other levels do not have. Cancel for Any Reason is a benefit that allows you to cancel up to two days before departure and be reimbursed 75 percent of your insured trip cost. There are certain conditions to obtain this benefit, which you can see online or by asking us. Trip Cancellation and Trip Interruption: On international trip cancellation insurance, there are certain reasons for cancellation prior to departure which the insurance company will provide coverage for. Likewise, there are reasons for cancellation that the company will not cover. Trip Interruption has the same covered reasons as cancellation; it is simply different terminology used for after you depart on your trip. One of the covered reasons on the Trip Protector plans is sickness, accidental injury or death of you, your family member or a traveling companion which prevents from leaving or from continuing on your trip, according to the word of a physician. For trip cancellation (prior to departure), you will be reimbursed at 100 percent. On trip interruption (after departure), the Economy plan has 125 percent, the Classic is 150 percent, and the Preferred is 200 percent reimbursement of trip cost. 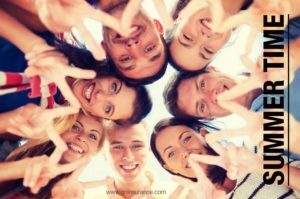 International Travel Insurance Benefits: The Trip Protector international trip insurance plans also have great travel benefits such as trip delay, missed connection, baggage delay and baggage/personal effects coverage. On each level of coverage, the provision on these benefits increase in the coverage limits, reduced waiting periods before coverage, or both. More information about these travel health insurance benefits is on the brochure through our webpage. The information is well organized and easy to read. International Medical Benefits: Aside from travel insurance benefits there is great medical protection included! On each level of coverage there is accident and sickness coverage: Trip Protector Economy has $75,000, Trip Protector Classic has $250,000, and Trip Protector Preferred has $500,000. These benefits will cover for many new injuries and new illnesses; expenses such as outpatient, inpatient, surgery, lab office visits and outpatient prescription drugs outside the U.S. International medical evacuation insurance is also included at a minimum of $500,000, which is amazing coverage. Although not truly medical coverage, there is also accidental death and dismemberment and repatriation of remains benefits. In the case of a medical evacuation, it is imperative that you or someone with you contacts the insurance company. The insurance company is equipped and prepared to coordinate and pay for the medical evacuation, and get you to the nearest adequate medical facility for the required medical treatment. Having this coverage is very important when traveling internationally, and we are grateful that it is provided at a sufficient amount. Furthermore, we have actually had the opportunity to learn how the insurance company handles medical evacuation. We can boldly say that we appreciate the readiness and organization they have for your protection! Overall the Trip Protector international travel health insurance is amazing, and because there are three levels of coverage, you will most likely be able to secure the exact coverage that you want as you travel in the world!